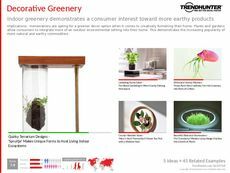 Find Better Ideas, Faster ® with a custom indoor gardening trend report, our PRO Dashboard and 80+ categories of premium trend reports. In response to a growing consumer interest in urban gardens, the Indoor Gardening Trend Report looks at products, technology and apps that are meant to help grow in-home greenery. Living decor is becoming a must-have inside, providing health benefits and aesthetic appeal. Indoor gardens also allow dedicated consumers to grow their own food, appealing to the organic-loving and sustainability-focused markets. High-tech planters are popping up as well, with connected apps that tell owners when to water and take care of plants. 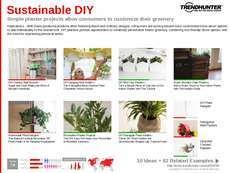 Our crowdsourced research will benefit plant and home decor retailers as well as florists looking to provide products for consumers interested in indoor home gardening. 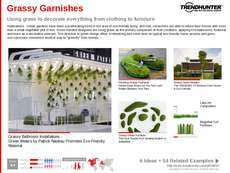 Interior decorators and product developers interested in sustainability and urban farming will also find unique takeaways. 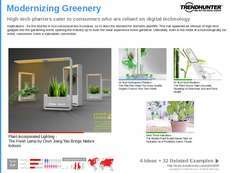 The Indoor Gardening Trend Report showcases products, plants and technology that allow for planting indoors.